Indian Railway Catering & Tourism Corporation Limited is much familiar as IRCTC. 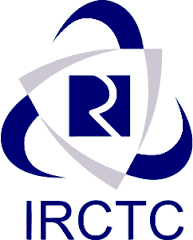 Indian Railway Catering and Tourism Corporation (IRCTC), is a subsidiary of the Indian Railways that handles the catering, tourism and online ticketing operations of the Indian railways. These Days everybody wants to join the Government sector. Here in this post, you can check out a great opportunity to get into the government department by applying for IRCTC. So it has recently released announced IRCTC Recruitment 2017 notifications to fill up Multiple vacant positions throughout the country in various Departments, So candidates who are looking for the Central government jobs can apply for these positions on or before the last date. As we all know there is heavy competition for the central government jobs we insist the candidates prepare well and also to apply only if they think are eligible for that particular position. IRCTC Recruitment 2017 will be a golden opportunity for the job searchers as there are numerous openings in this Cental Government Organization. And Candidates can now apply for their dream job without hassle as we updated all the required additional information, especially for the candidates. So you can get all the minute details here further in this post. In this post, we updated information like Posts Details, Number of Vacancies, Age limit, Age Relaxation, Applying link, Start Date and last Date to apply etc., all about the IRCTC Recruitment 2017. And candidates who are interested in state government jobs and other Central Government organizations Openings can now check them on our site ie., Sarkari Recruitment f0r more Detailed and Accurate Information. Interested job searchers can also check other Central Govt Jobs, Navratna and Maharatna Companies openings like BHEL, BEL, BPCL, OIL, SAIL, CONCOR, EIL, ONGC, NTPC, IOCL, GAIL, CIL, Vizag Steel Plant, SCI, REC, PGCIL, PFC, NLC, NMDC, NALCO, MTNL, HPCL, NBCC, AAI, BSNL, CSL, ITDC, NFL, NSC, CCL , CPCL , BCCL, BDL , BEML, B&R, CWC, GRSE, HCL, HLL, HNL, HPC, HUDCO . IRCTC handles Online ticketing, Tourism, Tatkal Booking. It is known for changing the face of railway ticketing in India. It pioneered internet-based rail ticket booking through its website, as well as from the mobile phones via WiFi, GPRS or SMS. In addition to e-tickets, Indian Railways, and Catering Tourism Corporation also offers I-tickets that are basically like regular tickets except that they are booked online and delivered by post. The tickets PNR status is also made available. Commuters on the Mumbai Suburban Railway can also book season tickets through the website. It has also launched a loyalty program called Shubh Yatra for frequent travelers. Through this program, passengers can avail of discounts on all tickets booked round the year by paying an upfront annual fee. Seeking to make it easier to book e-tickets, It launched a scheme called Rolling Deposit Scheme (RDS). RDS is a hassle-free e-ticket booking scheme allowing passengers to reserve seats against advance money kept with the corporation.It has also added flights and hotels booking facilities to their line of online reservation services. Indian Railways Catering and Tourism Corporation also organizes a budget and deluxe package tours for domestic and foreign tourists. A popular tourism package for budget tourists covering important tourist destinations across India is “Bharat Darshan”. Luxury tourism packages are also available, that involve special luxury trains such as Buddhist Circuit Train and Maharajas’ Express operation. Apart from conventional tourism, it also offers adventure tourism packages that include water sports, adventure and wildlife treks, etc. A provision for customizing tours as per specific requirements is also an added attraction. Recently a new venture of Indian Railways, named as Rail Tourism India has been launched to provide direct catering and tourism packages to users. Indian Railway Catering & Tourism Corporation Limited is going to generate a notification to recruit many vacancies. Job searchers can apply for them according to their qualification and eligibility which are updated below in this post in a detailed manner. Organization is looking for the hardworking Candidates. It is looking for both Freshers as wells as Experienced candidates. So, Without Delay Competitors can apply for these Vacancies.The competitive written exam and personal interview will schedule by an authority for final selection. If any type of dispute and query arose with regard to open Indian Railway Catering & Tourism Corporation Limited posts, the decision of Managing Committee of IRCTC Recruitment will be last. Microbiologist: Post Graduate (M.Sc) in Microbiology / Food Technology from a recognized university or institution. Group General Manager (Tourism)/Group General Manager (Procurement & Quality)/Group General Manager (HRD)/Group General Manager (Infra. )/Group General Manager (IT)/Chief Regional Manager, Patna/Chief Regional Manager, Bhubaneswar/ Chief Regional Manager, Jaipur/Junior General Manager / Deputy General Manager /Rail Neer/Deputy Chief Vigilance Officer: 15 years service, in organized All India Services, Central Civil Services, Combined Engg. Services, Defence services (Including Army, Navy and Air Force), Central and State Govt. departments, Subordinate, Attached Offices and Autonomous bodies under Central Govt. (being audited by C&AG), Central PSUs. Microbiologist: Age Limit is 30 years as on 1/1/2017. Group General Manager (Tourism)/Group General Manager (Procurement & Quality)/Group General Manager (HRD)/Group General Manager (Infra. )/Group General Manager (IT)/Chief Regional Manager, Patna/Chief Regional Manager, Bhubaneswar/ Chief Regional Manager, Jaipur/Junior General Manager / Deputy General Manager /Rail Neer/Deputy Chief Vigilance Officer: Applicants Age must be Below 55 years. Microbiologist: Rs. 30,000 per Month. Group General Manager (Tourism)/Group General Manager (Procurement & Quality)/Group General Manager (HRD)/Group General Manager (Infra. )/Group General Manager (IT)/Chief Regional Manager, Patna/Chief Regional Manager, Bhubaneswar/ Chief Regional Manager, Jaipur/Junior General Manager / Deputy General Manager /Rail Neer/Deputy Chief Vigilance Officer: Salary will be paid according to the Company Norms. The selection procedure will be decided by IRCTC depending upon the response received against the post. The Selection criteria can be by way of personal Interview or by way of Group Discussion followed by personal interview. The decision of IRCTC will be final. E-mails will be sent to the shortlisted candidates. The final selection of the candidates will be based on the performance in the Personal Interview, where after “Offer of appointment” shall be issued. Interested and Eligible candidates who are interested in Indian Railway Catering & Tourism Corporation Limited, may apply online through official website HERE. PLEASE INFORM ME WHEN MICROBIOLOGIST POST IS DECLARED.